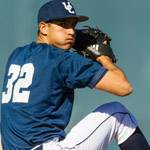 UC San Diego will play Chico State, one of the hottest teams in the CCAA, this week. The Wildcats have won 10 of their last 11 since opening league play 0-6. The four-game series begins at 6 p.m., Friday at Triton Ballpark. 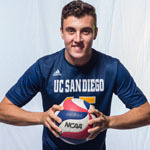 The UC San Diego men’s volleyball team welcomes top-ranked and undefeated Hawai’i to RIMAC Arena at 7 p.m., Friday, March 29.